Hip-hop video vixen and reality TV star Melyssa Ford was badly injured in a car accident this week -- and her good friend, Claudia Jordan, posted a pic from the scene. 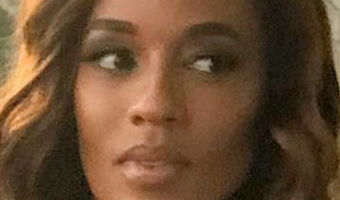 The 'RHOA' star shared a photo Saturday of Melyssa lying on the ground surrounded by bystanders after a horrific car wreck she was involved in Thursday. Melyssa was on travelling an L.A. freeway when an 18-wheeler clipped her Jeep, flipping her multiple times. Claudia says Melyssa suffered a huge gash on her head and brain bleeding -- adding Melyssa doesn't remember what happened and pleading with witnesses to come forward. Another friend of Melyssa's, Maryam Iman, notes Melyssa suffered a skull fracture and a concussion on top of the brain bleeding. Maryam goes on to say that Melyssa's gash was 10 inches, and had to be surgically sealed with staples and stitches. Both women say Melyssa is lucky to be alive. The former "Blood, Sweat & Heels" star -- who had a bottle broken on her head in 2014 -- is said to be … [Read more...] about Melyssa Ford Seriously Injured After Horrific Car Accident in L.A.